Having a high-end boutique like PL-Line as a supporter of FASHIONCLASH Festival is important. It gives both PL-Line and FASHIONCLASH the opportunity to share ideas, opinions and views in a more social and real context. Fashion has always played a great role in religion. With PL-Line in play for the 10th edition of the FASHIONCLASH Festival we can try to find out what role religion plays in modern-day society. 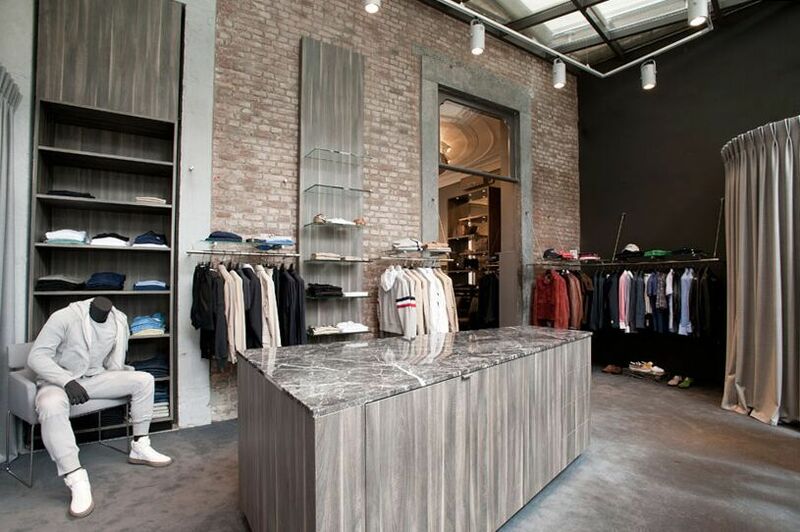 PL-Line is a luxurious boutique, which is divided into two sophisticated stores in authentic atmosphere. Both stores are located in the city centre of Maastricht, the most historical and convivial city in the South of the Netherlands. Founder Leon Holla has accomplished to create 'brand awareness' in the best way possible. Both PL-Line City Outfits and PL-Line Luxury Sportswear are well known by fashionable men and women. Not only for its wide range of luxurious brands but for its upright and right service as well. PL-Line City Outfits offers you a very wide range of the most luxurious and fashionable brands of the moment, for both men and women. Well-known brands as Balmain, Givenchy, Saint Laurent, Tom Ford, Thom Browne, Prada, Balenciaga, Valentino and many more are part of the beautiful collection PL-Line has to offer keeping customers' ideas and feelings in mind. In addition to these high-end brands, PL-Line Luxury Sportswear will keep you up to date with the latest trends. Combining the most recent collections from leading brands such as Stone Island, Dsquared2 and Moncler with upcoming street wear brands like OFF-WHITE, Palm Angels, Amiri and many more. To many of us fashion is quite like a religion; we use it as a tool to get what we want, some pieces give us courage, strength or hope. Others console us when we need it. And we bet everyone has something to confess when it comes to fashion. PL-Line and FASHIONCLASH invite you to comment, discuss and share your view on fashion and religion during the festival.